It'd be a breath of fresh air for a nerd! It's hard to ignore how major news companies are jumping on the geek bandwagon - reporting stories on comic books, sci-fi shows and gaming in an effort to expand their readership to the geek market. It's a natural reaction, in my industry, to the fact that geeks and nerds are the trendsetting users of the internet medium. For a news company, having an audience full of intelligent, well-connected, evangelical people like nerds is like hitting the jackpot. I totally understand why journalists are doing this. But as a nerd, I have to wonder, is all this geek reporting really geeky? Is something nerdy just by virtue of being about a comic book or a video game? The answer is "yes and no." Traditionally, journalists have not seen pop culture stories as serious news. By and large, nerdy interests and pursuits are not about life and death and they certainly wouldn't bump a story about the president off the main page. But because of a number of mechanisms that have recently changed our society - including the internet, affordable technology, the boom of cable TV - these topics are far more important than they used to be. They matter to a public that is increasingly less inclined to hide the fact that they are nerds. Being into technology is no longer a reason to be socially shunned. It's OK to show off your love of Tolkein because the "Lord of the Rings" movies won a zillion Oscars. People who don't need them are suddenly wearing thick-rimmed glasses. Even Doctor Who will tell you, "bowties are cool!" And yet, as our interests are mainstreamed, we want just a little bit more depth. So much attention on the topics we love can easily verge into mockery. Where's the context in geek news? That's what Geek Out! is offering. We will report on nerdy topics and the nerd community, focusing on why these things matter in today's world. What matters to nerds is worth reporting, and the Geek Out! team intends to investigate this culture from all angles. We'll take deep dives into specific subcultures. We'll find out what gadgets, gizmos and thingees are making people go "squee!" We'll ask upper echelon nerds how their work is changing the world and we'll ask every day superfans to share their expertise with us. Otaku. We will feature news about the interests of the Otaku community – it's about anime, manga, cosplay, gaming, fashion, Japanese culture and questions of racial identity. Fandom. Here’s where we will feature news regarding organized fanbases and the scifi/fantasy franchises that are the objects of their obsession – think "Star Wars," "Star Trek," "Battlestar Galactica," the Whedonverse, "Doctor Who," fan conventions, fan clubs, even fan art and literature. Nerd Life. We will explore the social ramifications of identifying as a nerd or a geek – everything from bullying and social acceptance to sexuality, health, communication trends and outting celebrities as nerds. Master User. Here’s where you will find news and commentary from the nerdiest newsmakers in the areas of computing, engineering, video games, internet content creation, science and math. Basically, these are the experts, and their geek outs are monumental. Comic Longbox. We will address the entire comic book industry, from DC and Marvel to web comics and independent publishers. We will cover the medium of comics and address how fans react to this art form. I invite you to join us for some really nerdy stories. Let us know if you think we get it right or wrong - because we're ready to geek out with you. It's a shame that you don't even seem to realize that the original subculture from which all of this sprang, the actual science fiction conventions where people who can read (and spell) talk about actual science fiction and fantasy books, still exists and influences all the derivative cultures whose denizens don't know who Bob Tucker was, who coined the term "fanzine" or (in the worst cases) what a Hugo or Nebula is. How do I get in touch with the editor? I'd like to proposing a piece about comic book nerds outside North America. In my opinion CNN doesn´t have what a Nerd likes, and Nerds wouldn´t even try work here, what really calls my attention, it´s the way some people still envy others, or how it´s easier for some to hate what they don´t understand, FYI we need everyone on this planet to survive, some invent things other enjoy them, other broadcast news, from a different point of view, never the real one, cause everyone has a different point of view of the same event, accident, issue etc.... We need to understand that in being different is the secret of being Human, where everyone on earth is as impotant as the other, no differences.!. I'm sure that the Republicans would prefer that a Republican insider wrote stories about the Republicans. I'm sure that Green Peace would prefer that one of their members wrote stories about their organization. I prefer that serious journalists report on these stories. Otherwise why not just let movie and television distributors write stories about their own movies and shows? Oh wait, they do. Geeks don't want stuff that makes you go *squee*. Geeks want stuff that makes you go WOOT. I believe that is W00T, not WOOT. Being a nerd means you won't be relying on this CNN blog area for your tastes. CNN does not have what it takes to leverage out the materials that we nerds like – what really matters to us. CNN is politics centric and is a medium for religious bantering. You can tell just by the comments that there will just be bile on this particular blog. Questions of 'why is this junk even being hosted here?" and others like "you call this news?". If you're a nerd you already have at least 5 different sites that cater to your particular taste already. Anime sites marked, Idol links , fansites to JPOP/CPOP/KPOP, and never forget your gravure pv and mv, etc. CNN will waste your time when you come here – you'll be just defending yourself here everyday. I was both homecoming and prom queen at a school of nearly 3000. However, I also love Doctor Who, and am a big otaku. I am quite proud, even. Being an otaku is actually an incredibly cultrally-based experience, and anime is an art form in its own right. These comments by other people are a bit offensive, frankly. I don't know many people these stereotypes apply to, and I know a LOT of people. Otakus aren't lesser than you. Frankly, based on past experience, I think they're generally better people, in fact. I would appreciate more nerd reporting in areas where math is involved. Apparently, the average journalism major doesn't do well in math – which isn't surprising since he/she usually hasn't had a math class since high school. We are a proud family of nerds, parents plus three kids, the youngest of whom was just dropped off at college–in fact, all three of them are in college right now. We have made cross-country road trips to visit the Science Fiction Hall of Fame in Seattle, the Biosphere 2 in Arizona and the Ontario Science Center in Toronto. We plan weekends based on where our favorite authors might be giving a free lecture or book signing. If you have some good nerd news, we'll look for it. Of course, to confuse matters further, there is the whole Maker movement. NYC is hosting a Maker faire this September. Nerd chic has passed? I think not! How about a segment dedicated to some of the more interesting items that otaku collect, such as anime cels and other production related artwork? Or maybe a post dedicated to those who participate in the Gundam building competitions? I'd also love to see people submit pics of their geekdom on display at work or at home. It would be a refreshing change from the usual stories that CNN carries. You just missed PAX >.> How do you do that if you're into geek culture?! The jocks called the geeks many things in high school. Q: What do the jocks call the geeks after graduation? That's a stupid generalization. I was a "geek" in high school, but I'm not anyone's boss. Likewise, my best friend was quarterback of the football team and went on to own his own very successful business. Yeah, true, it's a very stupid generalization. BUT, I see nothing wrong with positive generalizations since geeks/nerds have always been victimized by negative generalizations. Butcher the sacred sheep filled with information candy. Nerd chic is over. Someone wanna tell CNN? I think the comic book movie resurgence, continued growth and profitability of the video game industry despite a recession, and trends like "bronies" would disagree with you. Nerd chic is never "over" in the Silicon Valley. One big reason I love living here. Be sure to tell the 40,000 + people about to attend Dragon*Con this weekend in Atlanta that Geek Chic is over. Are you just going down the comments and leaving negative replies? Sure looks like it. Guess I was born about 30 years too early. I graduated from high school in 1975 and nerd or geek was a term you were labeled with-not one you claimed. I've spent my whole life trying to get away from it and now it's cool. Does that mean that nerds are no longer bullied in school? Definitely not. Only adult "geeks" and "nerds" are allowed to claim those names and be proud of them, because they have buying power. (And they can sue if someboy bullies them.) Kids who like sci-fi or comics or games that aren't played on a field or on the playground are still generally tormented on a daily basis, in person and online as well. First, no one should be bullied in school or anywhere else, but don't let any of this make you think that self-described nerds are somehow the hot, new "it" demographic. The thing is... sadly, CNN is only just now getting around to addressing nerd chic... not realizing that that peak of that trend/craze/fad ended probably about a year-and-a-half ago. I guess they're hoping that a lot of you are just as out of touch. @Colleen I don't know where you go to (or recently went to) school, but I can tell you that nerds/geeks are quite respected in my school, which is just a run of the mill public high school in Phoenix AZ. Some of us are even "under the protection" of the "jocks" heh. Enlgiehtning the world, one helpful article at a time. Watch a movie aimed at teenagers in the 1960's. Listen to the "rock and roll" in them composed by white-haired old men who didn't get it. Now compare it with this. Oh, and, "Internet", is always capitalized, though I don't know why.School me, someone. Why does the CNN staff not have spell-check enabled on their systems? I don't capitalize it; it isn't a proper name any more than "copy machine" or "book" or "computer". Should we call it The Internet? Google it. It's capitalized in all definition entries. I don't know why. I found out when my spell check barked about it. The explanation is too long to post and CNN hates links. The geeks/nerds control the technology you use daily. The politicians are only in control for a little while longer. You lumped "gaming" under the Otaku heading?? Does this include old-school, pen & paper RPGs? D&D 1e for example has nothing to do with "anime, manga, cosplay, gaming, fashion, Japanese culture and questions of racial identity". Neither do most other RPGs. I don't see them mentioned anywhere else, so unless you're going to ignore a very large segment of the "geek" population, it seems like you're lumping them in with topics which are totally unrelated. We host a D&D 1e game at our home on a regular basis – the only "questions of racial identity" that come up generally pertain to the animosty between Elves and Dwarves. I wonder, do you really know who "geeks" are at all, or are you just looking to reinforce stereotypes that the rest of society has about who we are and what we're like? CNN appears to be fairly clueless about nerd culture. What about FPSes? Too bad they hired journalists instead of nerds to do this site. And I wonder if they're aware that "Otaku" does not carry favorable connotations? My guess is no. I would be insulted to be called Otaku as it implies lack of social skills, and obsession with some strange, if not downright bizarre topic which is boring or disturbing to others. Uh, FPS is not nerd. Nerd is Oblivion, LA Noire, etc, games with actual legitimate story lines. Share this on Twitter, FaceBook... No Google+? Sorry, CNN, you're not nerdy. I see stpries about comics, fandom, but no sci-fi, no science, and very little tech. Try harder. And dammit, I'm not on twitter OR FaceBook (I was on MySpace back when social networks were nerdy musician hangouts normal people shunned). Your "Out! features stories that actually matter to the nerd community but are still legible for those who are not-in-the-know" is faulty. You're either going to put normal people to sleep ("I just nod and pretend to understand when he talks about computers," my GF says) or you're going to bore us real nerds with stuff we know about already. A fellow at one university (I forgot which one) working on his PhD did a study of slashdot's moderation system, you might want to have a look at it (yes, I'm the mcgrew from slashdot). Dragon*Con!! This weekend!! Let's see some coverage of this – one of the largest nerd/geek gatherings in the world. Immediate disqualification because you have a heading called Otaku...just call it Weaboo and be done with it. I have shared this news with my fellow cube-farmers, and they are pleased. "People who don't need them are suddenly wearing thick-rimmed glasses." I don't think I've seen that many honest to God nerds and geeks where thick-rimmed glasses anymore. Those are mostly hipsters. The anti-geek. You're right. Most nerds now either have contacts or corrective surgery (I have an implant). The wannabes are wearing the nerd glasses now since being a nerd started being "kewl". I'm only reading this because I'm at work (on break) and slashdot won't render in IE6. 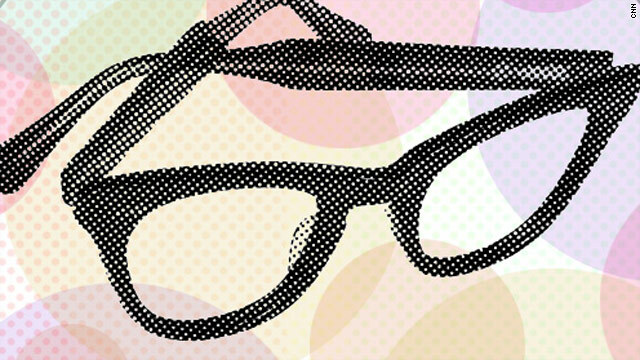 This is not a nerdy site, it's for nerd wannabes, the folks wearing the (formerly) nerdy glasses. This is why I love CNN...You would NEVER get a page dedicated to our people on FOX (not that I would even check that garbage to begin with!). CNN you are right, this is a breath of fresh air to have a section dedicated to us, and I wish more people in society would recognize us for who we are...but in the end, let's always look at the facts: the hipsters have fun and act like complete irresponsible idiots when their young, and we Nerds and Geeks end up becoming like Bill Gates and basically leading the world...in other words: WHO WINS IN THE END? THE NERDS AND GEEKS! THE NERD AND GEEK SHALL INHERIT THE EARTH! How can you call yourself a nerd if you're aliterate? If you read much at all you'd know the difference between they're, their, and there. NERDS READ and we read more than computer screens. And did you mean to say "illiterate" rather than "aliterate"? If you did in fact mean "aliterate" and understand the definition of the word, I'm impressed. If you meant "illiterate", you're as guilty as itoldyouso10 of misusing words. Perhaps you should begin by clarifying for your audience the meanings of the words Geek and Nerd and explaining their overlaps and differences? Geeks swallow live animals (Ozzie Osbourne), nerds work in and on science and tech (Adam Osborne). As my first computer was a slide rule, I feel compelled to tell CNN to get off my nerdy lawn of my lawn until they hire a few real nerds. I'm not impressed, but nerd wannabes will like this site. How about except for trying to make geeks and nerds cool. How about trying to get rid of those titles. We are in an economic situation where only the educated (and educated in those "geeky" majors (Math, Engineering, Computer Science...)) are getting good jobs. And a lot of these jobs US needs via H1 Visa's because we as a culture have created a sub group of Nerds and Geeks and interest in those areas is one of the key areas. So even though Geeks and Nerds my be cool for a while they are still an outside group and people want to be the average guy, and often do not have the strength to be labeled as such. Those who do, have to struggle threw mostly their young life with it as a stain on their rest of their lives. We need to De-Geek and De-Nerd and re-humanize these people. You see your daughter liking Math and Science that is great! Don't put fear about that being where all the looser geeks are. Or show TV shows where the kid who gets straight A is also the one who never gets the girl or if they do it is the ugly one. I don't agree. "Geek" and "Nerd" used to be insults, ironcally now they're badges of pride. BTW, I question your nerd cred. First, because you think they're still insults, and second, because you don't know the difference between "threw" and "through". Nerds read books (even if we now read them on nooks or kindles). Kid with straight As gets the girl? Come onnnnn, that was the plot of every "Revenge of the Nerds" movie, it's been done, and there are no ugly nerd girls–not one. Oh, we love this! Yay, CNN! Geeks of the world, unite! I am an undeniable nerd, but I can't relate to any of the stereotypes you present in this blog. One of my main gripes with the way the media represents Nerds is that they are often filled with images and hobbies that represent only a segment of the population. So thanks pigeon-holing what is actually a very diverse community. "an audience full of intelligent, well-connected, evangelical people like nerds". Where is the evidence to support the idea that nerds are evangelic??? I don't think she's talking about religion - just that they like to talk about their interests in a very spirited (if not spiritual) manner. Ask a nerd to tell you about Star Wars, or Dr. Who, or (shudder) Monty Python. Whatever their obsession of choice is. An hour later when you get your next word in, you'll understand what she means. 5th definition of "Evangelical" in Webster's: "marked by militant or crusading zeal : evangelistic " Ask a devotee of "Battlestar Galactica" why he/she likes it, and you will suddenly understand this definition. OH Cool!! Some geeky news to look at and see what others are thinking and doing! Nice work CNN!!! This has nothing to do with anything but , on the picture it clearly shows that its a Wayfarer sunglass ... Fashion Nerds FTW!!! Yes, my grandma owned a pair of Wayfarers. If that don't say "chic" I don't know what does. This may be the best thing CNN has done in a long time. Especially since their Tech department tends to usually border on the stupid. I think I should be half appreciative and half outraged by that comment. cool.. this will be fun..